working ends and come in single- and double-ended types. Some of the more commonly used burnishers are shown in figure 4-9. A variety of double-ended instruments make up this instrument group. They are used to transport and place dental cements, resins, temporaries, and insulating and pulp-capping materials. The working ends on composite resin instruments range from varying small cylinders to assorted angled, paddle-like shapes. 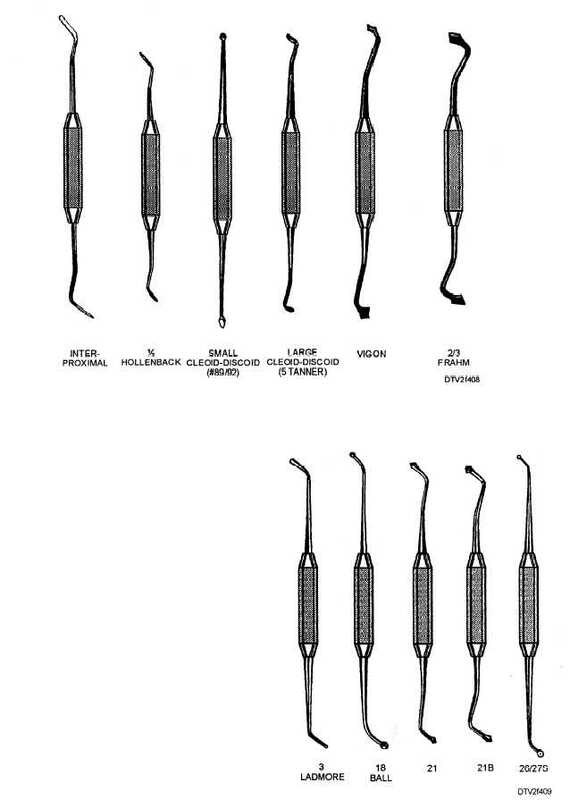 Figure 4-10 illustrates the Woodson #3, #W3, and #11 (also know as Stellite), which are some of the commonly used instruments in this category. Other types of composite resin instruments are made of plastic. Plastic instruments can be heat sterilized and used on composites and cements. They either come included in the kit of resin material from the manufacturer or, in some cases, can be ordered as a set as shown in figure 4-11. Some advantages to using plastic instruments are that they won't discolor or contaminate the composite restoration, and composite resin material will not cling to the instrument.